Introduction: How was this special feature put together? For this section I have covered the five main trading streets within my project boundaries for 1881. 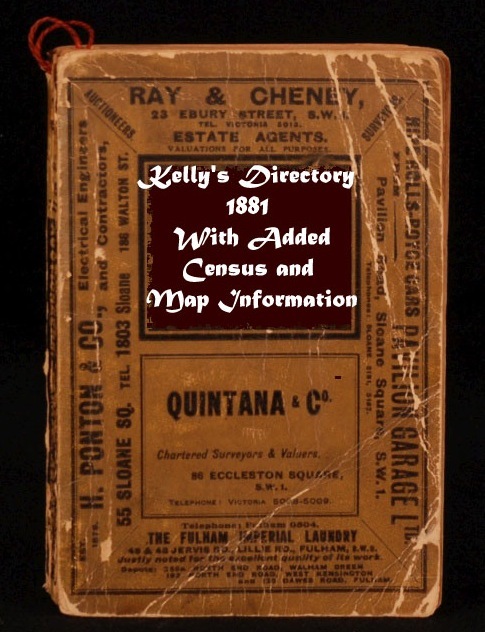 I’ve used Kelly’s directory and the Census of the same year to paint a picture of where the businesses were on the map, and who lived there. A few observations worth noting before you get started; in 1881 many people traded direct from their homes, either living above their shop or trading direct from their yard or living room. Another observation is that I’ve used the description of the street layouts from Kelly’s Directory in order to place the businesses on the map. Since then street numbers may have changed, if this is so then I have tried to match up old and new addresses the best I could. And finally, the Census is in a variable condition for this part of Lambeth in 1881, I have only been able to work with what is available, some parts of the Census are completely illegible some are in perfect shape it really varied and I’ve done my best to work with this. Anyone know the history of 238 Clapham Rd next to the Oddfellows house. It is now a restaurant but in the 1800s had been a potters shop In 1977 down in the basement the potters wheel and shelves where still there exactly as it had been left.It was very spooky down in the basement with a rocketry old staircase. It had the feeling of going back in time with everything untouched! There used to be a placq on the wall by the front door….now gone!